Scroll down for the free printable migraine tracker. Both Marty and Sarah get migraines occasionally. I’m lucky to have only had a few while I was pregnant. I can tell you that when they get them, they go immediately to bed – in a dark room – with no noise and I spend the whole day tiptoeing around hoping that the phone doesn’t ring. They both get migraines for different reasons but both received the same helpful migraine tips from their doctors. There is no cure for migraines but these tips have helped them both deal with their migraines when they do get them. Turn off the lights. Many migraine sufferers are sensitive to light. Turn off the lights and pull down the shades. Try to sleep if possible. Try tinted sunglasses if you need to go out. Try earplugs. Try hot or cold compresses. My husband likes cold compresses but heat always works best for me. Experiment. Have a cup of coffee. Caffeine can help some migraine sufferers because it makes pain relievers more effective and causes them to be absorbed more quickly into the body. Don’t drink too much though or you can have withdrawal. Try a gentle massage. Try massaging your temples gently to relieve some of the pain. Some people find relief by dry skin brushing. Relax and meditate. Try a relaxing yoga pose or experiment with deep breathing and meditation. Stress can trigger migraines and make them worse. Using a migraine tracker journal may be helpful. Avoid triggers. Do certain smells or foods trigger migraines? Track them to determine what may be causing your headache. Common food causes are MSG, gluten and aspartame. Treat early. When you feel the symptoms of a migraine coming on, don’t delay treatment. 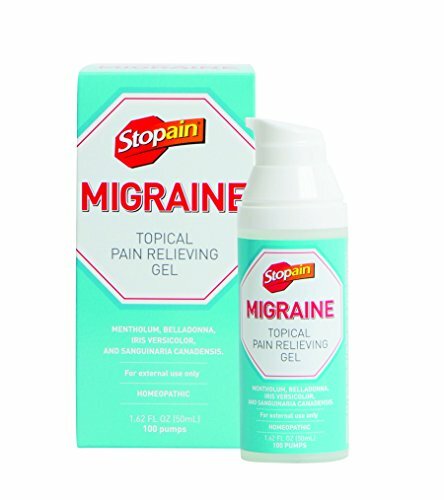 Try a topical pain relieving gel like Stopain Migraine. Stopain Migraine contains mentholum, belladonna, iris versicolor, and sanguinaria canadensis. It’s a Homeopathic remedy that is officially monographed in the Homeopathic Pharmacopoeia of the United States. It does not contain acetaminophen, aspirin or caffeine and has no known drug interactions. It is free of dyes and preservatives. Simply apply it as soon as you feel discomfort. If after 30 minutes, the symptoms persist, apply as needed, up to 4 times daily. See this helpful video for information on how to apply Stopain Migraine to the back of your neck. 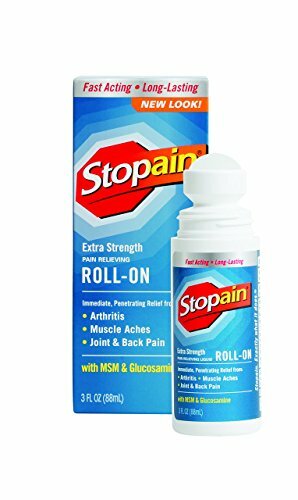 I had Marty try Stopain Migraine as soon as he felt a migraine coming on and he did experience relief. The gel is cool to the skin and non-irritating. You start to feel some relief right away. It’s safe and effective and Marty liked that it can be used with other migraine medication if needed. There are many different things that can cause a migraine. Each person has different triggers and it can be difficult to determine what your trigger is unless you use a printable headache tracker or migraine tracker chart.